Environmental Economics: "The Case for a Higher Gasoline Tax"
"The Case for a Higher Gasoline Tax"
In a paper published online this week in the journal Energy Economics, I and other scientists at the Massachusetts Institute of Technology estimate that the new standards will cost the economy on the whole — for the same reduction in gas use — at least six times more than a federal gas tax of roughly 45 cents per dollar of gasoline. That is because a gas tax provides immediate, direct incentives for drivers to reduce gasoline use, while the efficiency standards must squeeze the reduction out of new vehicles only. The new standards also encourage more driving, not less. The United States has adopted fuel economy standards that require increases in the on-road efficiency of new passenger vehicles, with the goal of reducing petroleum use and (more recently) greenhouse gas (GHG) emissions. Understanding the cost and effectiveness of fuel economy standards, alone and in combination with economy-wide policies that constrain GHG emissions, is essential to inform coordinated design of future climate and energy policy. We use a computable general equilibrium model, the MIT Emissions Prediction and Policy Analysis (EPPA) model, to investigate the effect of combining a fuel economy standard with an economy-wide GHG emissions constraint in the United States. First, a fuel economy standard is shown to be at least six to fourteen times less cost effective than a price instrument (fuel tax) when targeting an identical reduction in cumulative gasoline use. Second, when combined with a cap-and-trade (CAT) policy, a binding fuel economy standard increases the cost of meeting the GHG emissions constraint by forcing expensive reductions in passenger vehicle gasoline use, displacing more cost-effective abatement opportunities. Third, the impact of adding a fuel economy standard to the CAT policy depends on the availability and cost of abatement opportunities in transport—if advanced biofuels provide a cost-competitive, low carbon alternative to gasoline, the fuel economy standard does not bind and the use of low carbon fuels in passenger vehicles makes a significantly larger contribution to GHG emissions abatement relative to the case when biofuels are not available. This analysis underscores the potentially large costs of a fuel economy standard relative to alternative policies aimed at reducing petroleum use and GHG emissions. 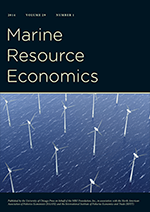 It further emphasizes the need to consider sensitivity to vehicle technology and alternative fuel availability and costs as well as economy-wide responses when forecasting the energy, environmental, and economic outcomes of policy combinations. In Modern Principles, Tyler and I explain that a command and control regulation is a less flexible and thus more expensive way of reducing energy consumption than is a tax.